More special pendants in this week that are so special & unique! Inspired by Navajo, Zuni, and Hopi cultures, these designs reflect an unexpected contemporary energy, setting creations a step ahead of tradition. Incorporating his mastery as a silversmith and talent as an artist in "stretching the Imagination of creativity...It's all about the colors of the stones, how they mix with metals, and nature's use of light. 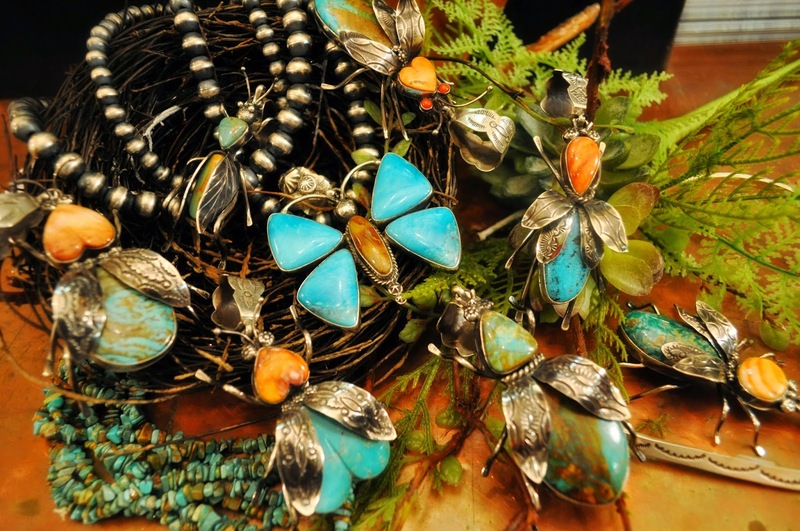 "….Featured in the finest galleries across the southwest come in and let us show you our new pieces designed by a New Mexico silversmith and talented artist. 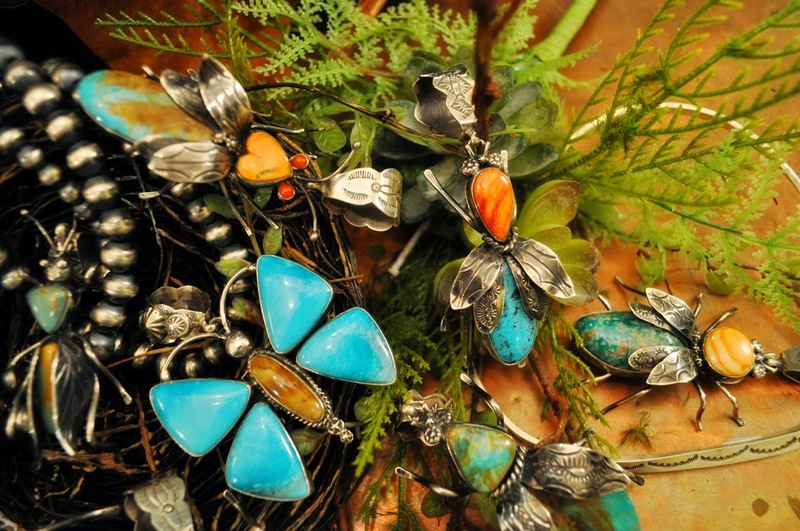 Beautiful Beetle pendants of different shapes & sizes, a delicate Grasshopper pendant, a fantastic Wasp and gorgeous Butterfly pendant made out of spiny coral, fox turquoise, and kingman turquoise. Each piece unique and one-of-a-kind. Interested in a piece? Please give us a call at 806-293-3588 and we can tell you more about the artist and the specific piece you are looking at.